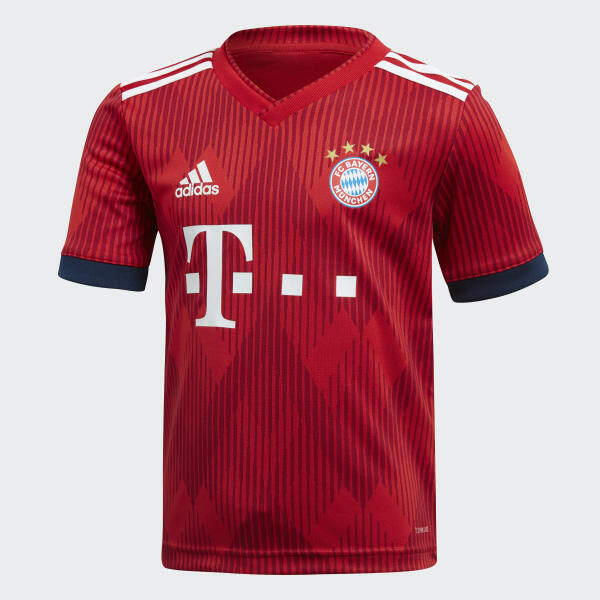 A mini kit for young fans of FC Bayern. This mini kit for kids matches the jersey and shorts FC Bayern players wear when defending the pitch in Munich. The shirt and shorts feature fabric that wicks sweat to keep your young fan dry in all conditions. The kit also includes a pair of socks.